This is a BIS proprietary system. Unauthorised use is prohibited. All activity is subject to monitoring. This page doesn't contain meeting information. Please close this page and click on the meeting registration link sent to you in an email from your meeting organiser. For assistance please contact you meeting organizer. This guide briefly describes how to register for a BIS event. Please contact your Meeting Organiser if you have any questions. The Meeting Organiser will e-mail you a meeting specific link for online registration. Be sure to save this link in case you need to make changes at a later date. the password you created by clicking on the link in the e-mail you received (for those without an eBIS account). On the Login screen, click on "Don't have a login account? Create one now." Fill in the required information. Please note that certain fields - marked with an asterisk (*) - are mandatory. The BIS Meeting Organiser will be notified when your profile has been completed. 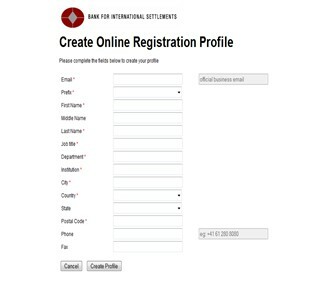 Once your account is activated - typically, within a few days - you will receive an automatically generated e-mail..
" next to the name of the person you wish to register for an event. You will be directed to the registration form and the next steps can be followed. 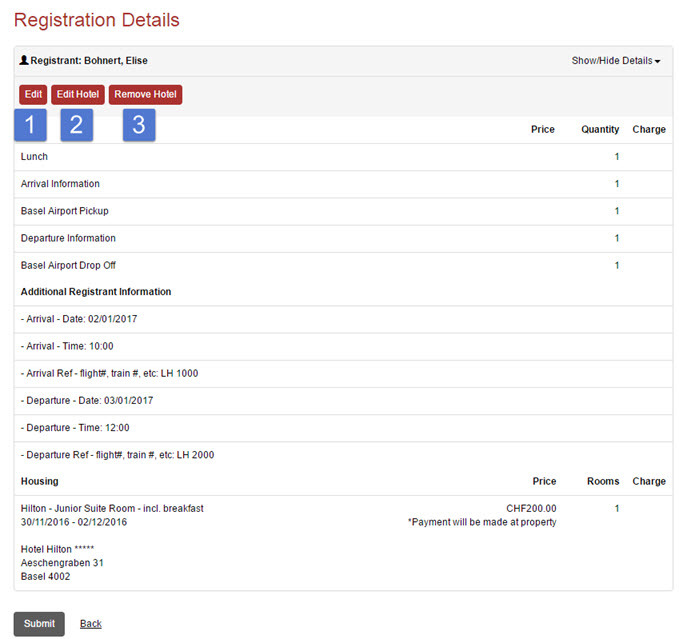 On the registration screen, select the specific parts of the event you (or the person you are registering) will attend, if applicable. 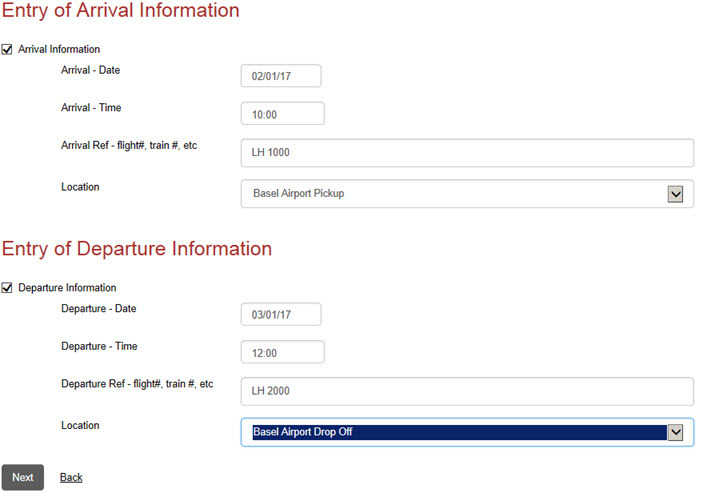 Please note that it is possible to edit this information at a later time if your travel information changes. On the review page, click on Add Hotel. Enter your arrival and departure dates (1) in order to find hotel rooms that are available during that time. Select your hotel by ticking the circle next to it (3). Edit attendance or travel details by clicking on the "Edit" button (image above #1). Edit your hotel selection by clicking on the "Edit Hotel" (image above # 2). 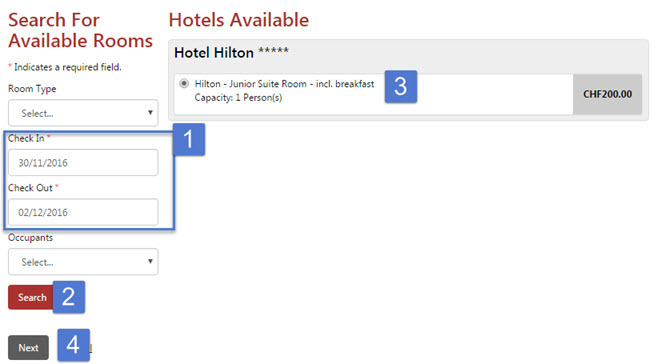 You can delete the hotel selection by clicking on the "Remove Hotel" (image above # 3). An automated registration confirmation will be sent to your e-mail address after a successful registration, including a calendar invitation. No other confirmation message will be sent. Click "Cancel Order" to be removed as a participant from the event.